Learn how to vape marijuana flower (buds) in 6 easy steps. 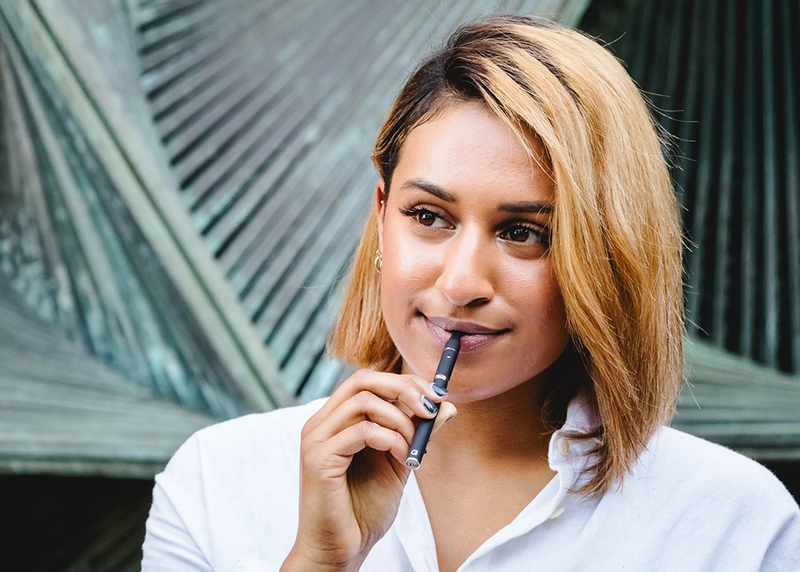 Dry herb vaporizers give you the best of both worlds-the satisfying herbal experience of smoking and the efficient, discrete mechanics of vaping. If you have buds leftover from the last time you smoked, getting a dry vaporizer is a great way to use those flowers in a different way. 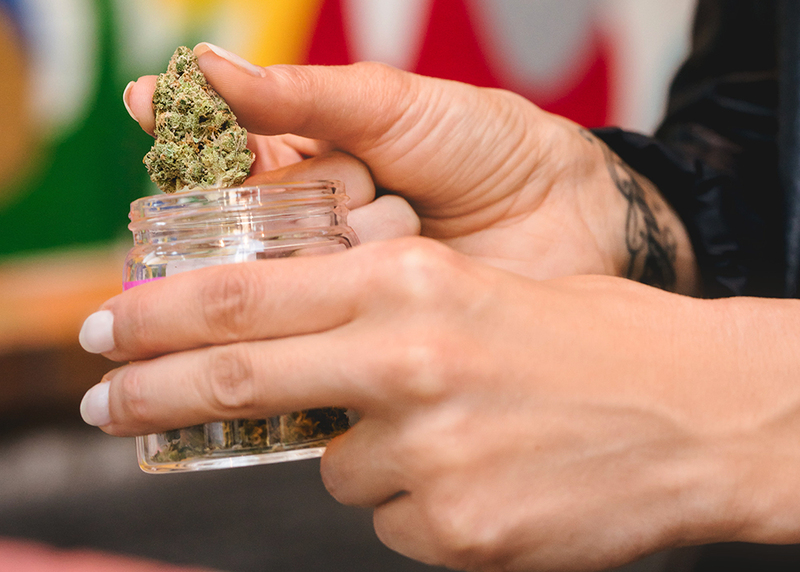 The quickest and simplest method to getting the vaporizer or flowers that you need is through Eaze, our on-demand delivery service for anywhere, anytime. Not home yet? You can order from your phone anytime and we'll meet you at your doorstep. 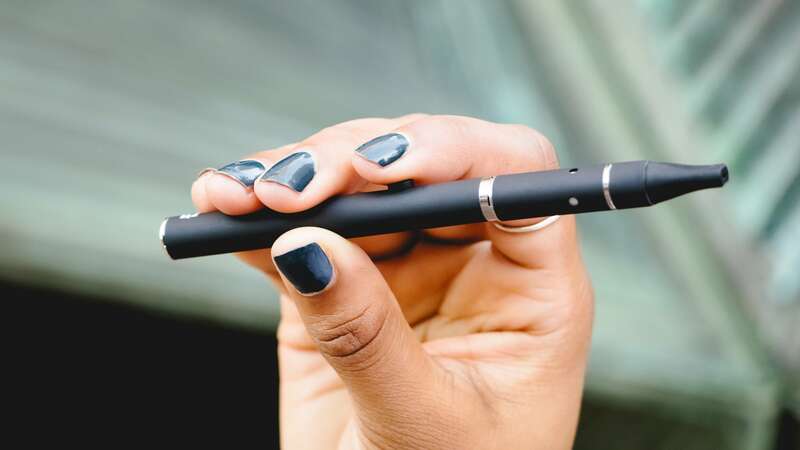 In this guide, we will discuss the basic mechanics of vaporizers, benefits of vaping, best-held practices for getting the most out of your vaporizer, and ways to make your vaporizer work for your lifestyle. Why Vaporize Marijuana When I Could _____? Vaping isn't rocket science-the devices are designed to be discreet, simple, and portable for all levels of users. You could bring one out on your coffee break, store one in your gym bag for pre- or post-workout energization or relaxation, or keep one by your bedside as a nightcap. 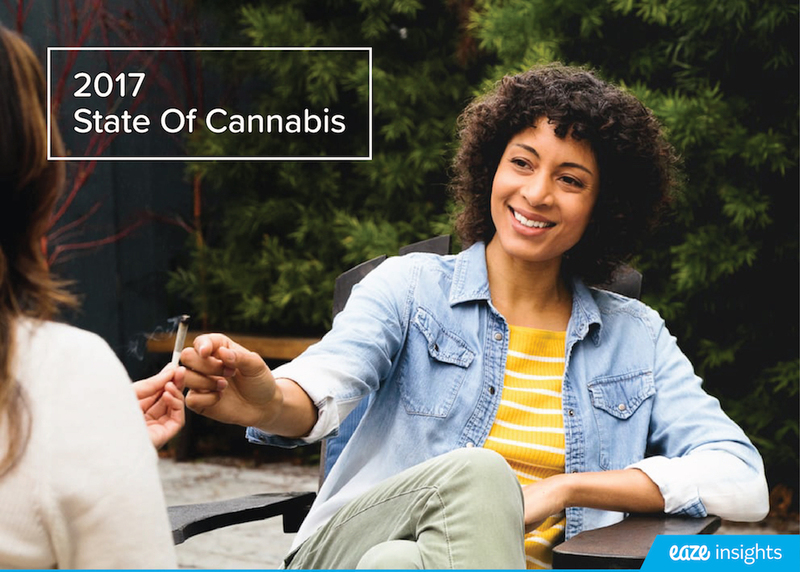 In a 32-question survey we conducted with over 10,000 cannabis consumers just like you, we found that over 50% of people consume cannabis daily. 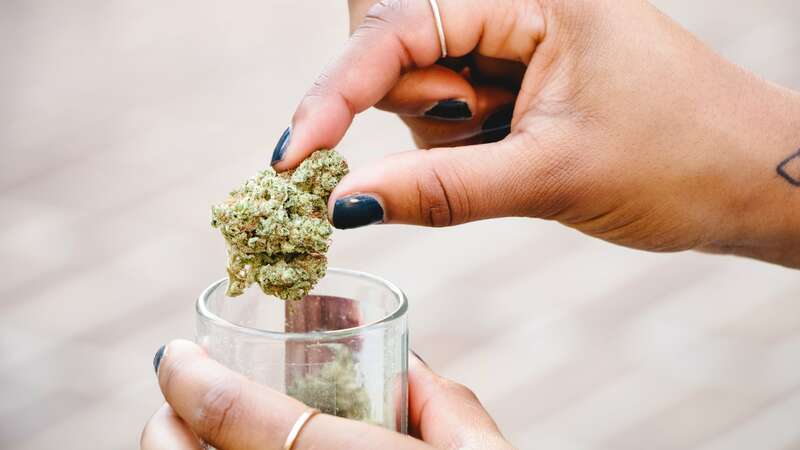 In fact, 1 in 3 people are consuming cannabis at the office. They're probably vaping-it's that discreet, and it won't irritate your lungs like smoking potentially will do. Yes, these "flowers" are indeed dried, cured, and processed flower buds that are used for both smoking and vaping. 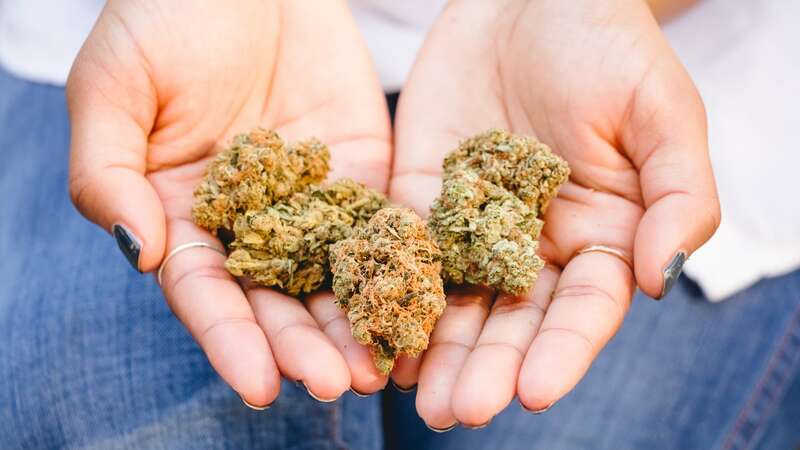 The term "marijuana" can also refer to "flowers," but for the sake of clarity and differentiation from other products, we use "marijuana" synonymous with cannabis (the plant) and we use "flowers" to denote the dry buds. 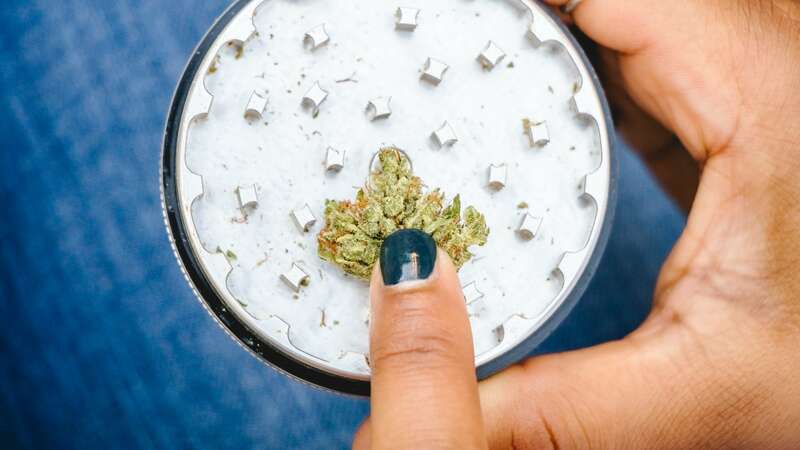 Whether you're rolling joints or firing up your vaporizer, a grinder is a great investment to elevate your everyday cannabis experience It is a simple tool used to grind your flowers into small and consistently even-sized pieces to make your experience smoother and deeper. It's like what gourmet chefs say about buying premium extra virgin olive oil-you can taste the difference, and once you do, you won't go back. While you can choose how fine you want your grind to be for smoking, you must grind your buds into a fine powder for vaping. That's why it's easier with a grinder, rather than with your hands. How Do I Vaporize Marijuana? Step 1: Select your flower. Generally speaking, Indica is great for relaxation, whether you're using it as a nightcap or to chill out in a bubble bath. Sativa is inspiring and energizing, which makes it great for exercise, productivity, creativity, or socializing. There are also many hybrids available, which provide unique blends of Sativa and Indica strain properties. You can buy all these strains easily through Eaze. Step 2: Grind your flowers. You need a fine, even-sized grind for the vaporizer, so this is a very important step. Make sure your grinder is cleaned and dried before use-you don't want moist buds, as this can negatively affect the performance of your vaporizer. Step 3: Pack the chamber. After taking off the cap, gently load the grind into the chamber of the device. No need to pack tightly or overfill, as air needs to flow through the channel. Next, close the chamber and put the lid back on. Step 4: Heat it up. Press the button to turn on and heat up your vaporizer. It's fast-you should be ready to go in 10 seconds or less! Step 5: Take a hit. Put the mouthpiece to your lips and draw in a deep breath for up to four seconds. Exhale quickly and thoroughly. (THC enters your system within seconds of inhaling.) Wait a minute or two before inhaling again. If it's your first time ever (! ), wait 10 minutes and take some deep breaths. Has it been 10 minutes and you still don't feel anything? Take a second drag and repeat the process. Step 6: Done? Store safely for next time. We highly recommend investing in a small odor-proof vape case to keep your vape pen safe, clean, and hidden. Specially made vape cases also include elastic straps to keep everything organized. To clean your pen, dab a q-tip with rubbing alcohol, rub over the area, and wait for it to dry before putting it away in storage. 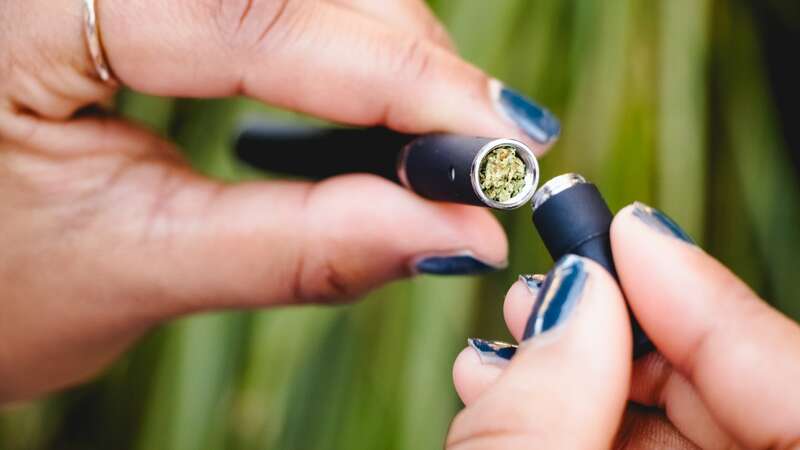 Grind and pre-load your vaporizer before you travel, so that you don't have to deal with accidentally spilling marijuana pieces all over the place in public. It's a waste, and it's illegal. Fully charge your vaporizer before heading out, but remember to bring your charger with you, just in case. Get a grinder card if you'll be buying flowers and grinding them while you are out. It's inexpensive, easy to clean, and it fits into your wallet like a business card. Buy a vape kit to keep everything neat and organized. They look like personal grooming cases or pencil cases. Dry flower vaporizers have slightly more aroma than oil vaporizers (which are almost odorless), so try not to vape in the same room as anyone who does not consent to the smell. If you have a private outdoor patio or yard, go there. Or just crack open a window. Just because you're using it at home doesn't mean you can just leave it around during the day. Kids and pets can get to it, so keep everything inside a case, stored away in a cupboard or drawer. Want to really invest? Consider getting a desktop vaporizer, which is not travel-friendly but will help you get the most out of your herbals. Though you should never pack the chamber so tightly that air cannot flow through, the exact heaviness of your packing depends on your personal preference for vapor strength and the vaporizer itself. Experiment with different packing intensities until you find the right one. Even if you're a seasoned user, take your time between puffs! It's not a race, even though we're competitive at heart, too. To clean your mouthpiece, avoid soap and water. Instead, dab a q-tip with rubbing alcohol and rub over the mouthpiece. Keep your buds dry. Moisture will affect the performance of your vaporizer.